You may already be using Sass or Less to add logic to your CSS workflow: variables, if/else statements, functions, and mixins. However, there are some limitations to those preprocessors. What if you need to add a CSS property or two based on the presence of other CSS properties? For example, we’ve worked a lot on progressive web apps here at DockYard lately. We want that nice native-feeling elastic/inertia scrolling whenever we have an element with overflow: scroll (or overflow-x / overflow-y). Everywhere we make an element scrollable, we’d need to add -webkit-overflow-scrolling: touch. Preprocessors don’t have a way to detect what properties are in a given selector block, so we’d need a verbose mixin solution. Additionally, we don’t use a preprocessor on every project, so we needed a PostCSS solution. See that mixin in use on Sassmeister. This approach works, but it has some significant shortcomings. First, you’re not writing spec CSS anymore: you’re writing a more verbose abstraction. Any dev who comes to this codebase has to learn another abstraction. Second, this isn’t well-automated. If you forget to use the mixin, you don’t get the extra property. PostCSS, on the other hand, automates this fully with no need for a written abstraction. A PostCSS plugin can find any selector block with a scrolling overflow and insert the additional property automatically. 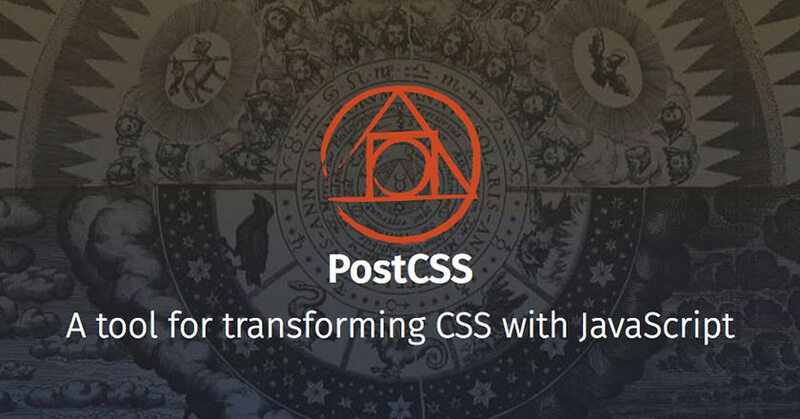 PostCSS turns your CSS file into a JS object. PostCSS plugins can loop through the object and add/remove/modify selectors and properties. PostCSS converts that object back to a CSS file. If you’re interested in practical value of PostCSS, you can read more about why DockYard transitioned to PostCSS and our PostCSS package: Narwin-Pack. There are dozens of PostCSS plugins already available, openly maintained, and published to npm. This script will ask you several questions in your terminal. It’ll pull your name and email address from your local git profile (if you’ve set that up), and then ask you for your Github username. Next, you’ll choose your plugin name. It’ll begin with postcss- and you’ll complete the name. The wizard will then ask you to finish a sentence describing what your plugin will do. Finally, it’ll start a comma-separated list of tags for you to complete. In it, you’ll find some familiar components of a node-based project: index.js, package.json, a node_modules directory. You’ll put your logic in index.js: the functions that manipulate the CSS. If you have any other node module dependencies for your plugin, package.json will manage them and install them in node_modules. The first thing it does is grab the necessary prerequisite: the PostCSS library itself. The code that follows relies on having access to PostCSS. This block of code is the part that actually contains instructions for manipulating your CSS. The first thing we’ll need to do is walk through all the declaration blocks in the stylesheet. The root parameter inside the return function has a method for that: .walkRules(). Now that we’re walking through each selector block, we need to see if it contains a overflow property. To access those properties, we’ll use the .walkDecls() method that’s part of the rule passed to the function above. // We work with each `decl` object here. Inside this loop, decl is an object representing a style declaration. It contains data about the property-value pair as well as some methods for manipulating it. The two most important things for our case are decl.prop (the property name) and decl.value (the property value). // We work with the `decl` object here. It’s taken a bit of time, but now we’re almost there: this code will loop through all the selector blocks in our stylesheet, then loop through all the overflow-related properties in those selectors. All that’s left to do is insert our property. The next block of code will check to see if the overflow-related property’s value is scroll and if so, add the property that makes it feel more native. Now we’ve got a better function: if a developer intentionally put the -webkit-overflow-scrolling where it was needed, we won’t duplicate it. In just 20 lines of code, we’ve created a useful PostCSS plugin. We could add a CSS comment syntax that allows developers to exclude certain selector blocks from getting elastic scrolling added. We may want to allow option parameters so that this plugin only automates elastic scrolling on the x or y axis. We need to work on index.test.js so we can ensure this keeps working through any code updates. But, all things considered, we did put together a working plugin pretty quickly. 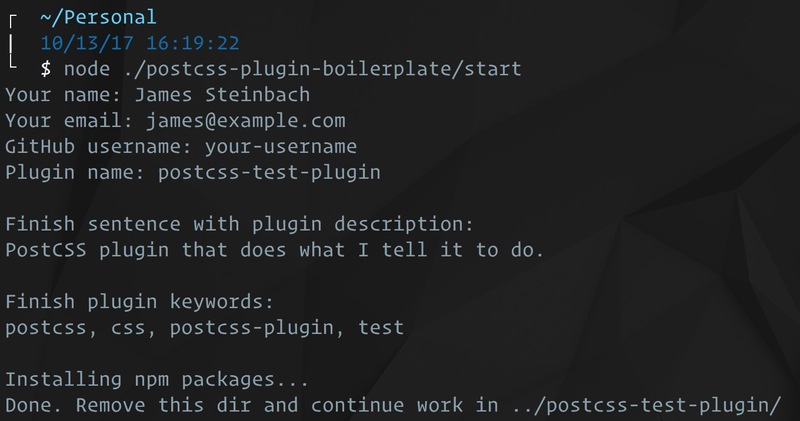 Hopefully, you’re able to take this walk-through and put together your own PostCSS plugins in the future!